You might say why would I purposely have a conversation about Judge Brett Kavanaugh with my grandchild? Perhaps the conversation is not so much about him specifically, but around what kinds of discussions grandparents and grandchildren can have around the news and current events. Our grandchildren hear so much and learn so much outside of the carefully crafted worlds we would wish for them. Depending on their age, they may not understand everything that’s going on. They may react differently based on their gender. They may be angry at how adults are handling things. Or they may not care. But maybe they should. 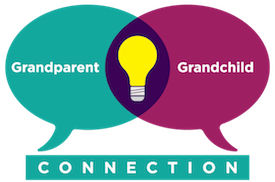 An opening from a grandparent may be just what your grandchild needs to process what they are already seeing and hearing in their world. Of course, you know your grandchild best. Pick and choose or add your own questions, based on who they are. And for anything that feels controversial, always ask your children, aka your grandchildren’s parents, first. Having a Supreme Court that is beyond reproach is a core pillar of democracy. Depending on your grandchild’s age, there are plenty of places to start a conversation. What qualities do you think would make a good Supreme Court judge? How do you gauge if a potential Supreme Court justice knows law and the constitution? How can you determine if a judicial candidate is able to judge fairly, regardless of gender or other external markers of difference? How objective is interpretation of the US Constitution—should someone’s political party matter when enforcing the law? Should Judge Kavanaugh be confirmed for the Supreme Court? Why or why not? If you were asking the questions, what would you want to know about a potential Supreme Court Justice? This is an important conversation to have with a child, and that can have arms and legs. Go to see RBG, the documentary about Ruth Bader Ginsburg together. Get a “Pocket Constitution” for each of your grandchildren. Go out for ice cream and talk about it together. Is it a valid distinction to differentiate between personal and public character? Should someone be forgiven for something they did long ago? How about a conversation about accountability and people accepting responsibility for their actions. How do you discern the truth when you hear different sides of a story? This may also be a time to have a conversation more broadly (beyond the current headlines) about making mistakes, as in no one is perfect. We make mistakes. Don’t keep them buried in you. Get them out and talk about the mistake and make better choices next time. Racism, sexism, double-standards. Even the current use of “Democrat” or “Republican” as a label for the “other” is the exact essence of prejudice stereotyping that fuels “isms”. It’s labeling all people of a single group as being monolithic. At the same time businesses are putting diversity and inclusion front and center as a core value for ongoing success, our government is getting more and more entrenched in this two-party-the-other-is-the-enemy binary. How would you define healthy relationships in high school? What does it mean if someone says there’s a double-standard about an issue? How would you respond or intervene if you saw a friend doing something they shouldn’t do? What does racism mean? Do people in the US still experience racism? What does sexism mean? Do people in the US still experience sexism? If my grandchildren could figure out this one, I’d hope that they would be nominated for the Supreme Court. Talk about your own thoughts. Most of these conversations I suggest with your grandchildren are more abstract. They go beyond the specifics of the Brett Kavanaugh confirmation hearings to talk more broadly about related ideas. I do think it’s important to say what you think in a way that’s not “preachy”. But do share your opinion as an example of how to respectfully state your position on an issue. For Kavanaugh himself, if he is innocent he ought to say to the panel, “bring in the FBI. Let’s investigate the allegations. Let’s put off the hearing for whatever time it takes. Let’s see what they find out.” That is what a mensch would do. What questions will you ask your grandchildren?